Holy chocolate, Batman! 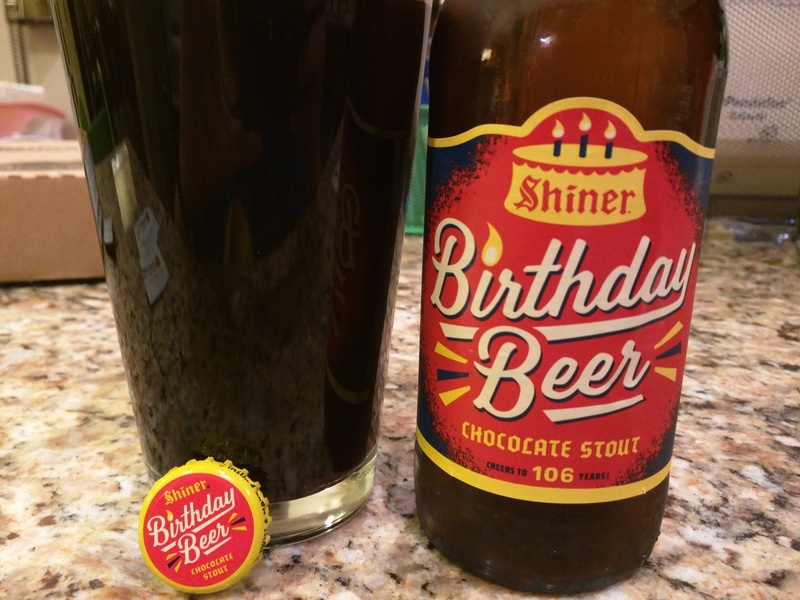 The 106th anniversary brew from Shiner is something pretty radical from our friends down the highway—a chocolate stout. This is one of those beers that will (or, well, may) impress your friends. The brewmasters at the oldest independent brewery in Texas were able to make a beer that tasted pretty darn close to drinking an alcoholic chocolate cake. It is quite tasty and enjoyable. For me, I am glad I bought an individual bottle out of the singles case at HEB. It is good, don’t get me wrong, but not one that I would want to have a 12-pack around with any expectation of drinking it within a month or so. This is a great beer to buy a bomber bottle to split amongst a couple or three friends to celebrate a birthday. It is good enough, though, where you should buy one to celebrate anyone’s birthday. It doesn’t have to be anyone in your group or anyone you know, as far as that goes. In other words, anyone who thinks they know what beer from Shiner, Texas tastes like should have this to see what our scrappy ice-selling friends can do. I am impressed with Shiner. Shiner Bock is popular enough that they could have focused on that with a little deviation, but they have pushed themselves with this beer. A brewery known for German-inspired beers wouldn’t typically take on a stout, not to mention one trying to capture such a particular flavor, but they do so and pretty well. I would love to see them try out a sour. IPAs are such a thing now, but I don’t see it in Shiner’s blood. It’s too… conformist to try an IPA and Shiner is Texas. A Shiner sour for a summer seasonal would be interesting and fun to try… a beer to enjoy while sitting on South Padre Beach, floating down the Guadalupe, or boating across Lake Travis with the sun beating down. Am I alone? If Shiner is going to try out new and different styles, who else wants them to try a sour? If not, what should they try? 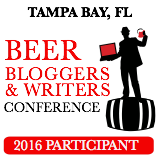 This entry was posted in American Stout, Spoetzl, Stout and tagged beer, birthday, Chocolate, chocolate cake, Chocolate Stout, Shiner, Shiner Birthday, Shiner Bock, Spoetzl, stout, Texas tastes. Bookmark the permalink. 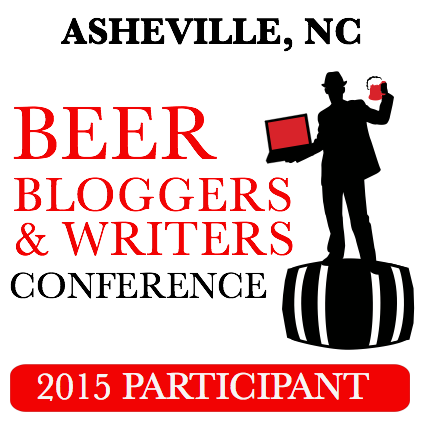 Reblogged this on Rod J's Beer Me. I think it would be difficult to get me to not say “happy birthday to me!” every time I drank one. I’m glad to see Shiner branching out from their usual forte, even if they don’t always knock it out of the park. I would love to see them try out a sour. Crazy-talkin’ f’reals, but as I recall they do a peach and pecan beer that would probably pretty interesting if they somehow soured it! I finally got a chance to try out this brew about a week ago. Was really impressed with what a good job they did. It really tastes like chocolate cake, with almost a chocolate milk taste that reminds me of chocolate icing.